With a total of 56 colleges and universities, Colorado is more than its largest flat-top mountain in Grand Mesa. In this week’s #statespotlight MSI Line Up, we highlight the 8 HSIs located in the state. 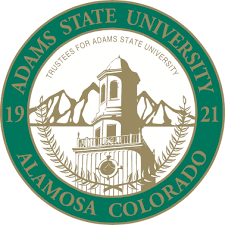 Adams State University is the first college in the state to be federally designated an HSI. Since 2000, the university has been awarded multiple grants to strengthen the institution. Adams is committed to ensuring student success with its Guaranteed Tuition program. In fall of 2015, Aims Community College served 33% Hispanic students. A total of 3173 students received financial aid for the 2014-2015 academic year. More than 25 percent of Colorado State University – Pueblo’s students are Hispanic. The university is committed to supporting their rapid-growing student population through their HSI designation. Community College of Denver was designated HSI in 2001. The funding has provided CDD with additional computer labs, academic advisors, and other support services. The college has also been able to offer more accelerated courses and strengthen the services provided by the Transfer Success Center and the Center Development Center. Emily Griffith Technical College offers the most affordable tuition with the lowest cost per credit in the region. They have a proven track record of serving approximately 10,000 students annually with some of Colorado’s highest graduation and job placement rates. Each year, EGTC graduates 350 former high school dropouts. Otero Junior College has been serving students for 75 years. The college helps students enter the workforce with skills necessary for entry level employment. In the academic year 2014-2015, Pueblo Community College served a total of 7,581 students. Of these, 3,829 students were full time and 322 students transferred to a four-year institution. Even with tuition 40 percent less than Colorado’s four-year colleges and universities, Trinidad State Junior College still maintains the highest completion rates of any community college in Colorado.